Your Wide Plank Specialist will help determine grade specifications. Enter a world of incomparable style with the enthralling look of Gate House featuring beautiful swirling grains and a dark wood flooring color that will captivate you. Not exactly what you're looking for? Get the perfect look for your space with any species, widths, texture, color and more. We offer unparalleled service and expertise, to make the process of selecting a new wood floor a true pleasure. A practice that allows us to preserve natural resources while assuring the beauty and quality of every Carlisle floor. Our New England craftsmen are true artisans and bring out the best in each board so that your vision comes to life. What type of glue should I use? Carlisle floors can be installed using two common methods — blind nail and glue or full-spread glue down. For blind nail and glue, PL Premium is a very common construction adhesive, and is applied with a caulking gun. For a full-spread glue down, Bostik's Best, Sika or Wakol are all very common brands. Your installer may also have their own preferred product, which they have determined is acceptable for with wide plank flooring within your installation environment. Are there any limitations as to where Carlisle floors can be installed? Carlisle wide plank floors are suitable for residential or commercial projects. They can be installed at, above, or below grade; in any room including kitchens and bathrooms; on radiant heat, concrete slab or plywood, and in a variety of environments. To learn more, visit our Installation page. Does your wood flooring come with a warranty? Carlisle wide plank floors come with a lifetime structural warranty. View our complete warranty. Can I buy your floors locally? The best way to buy a Carlisle wide plank floor is directly from us. No matter where you are located we can work with you directly or with an installer or builder on your behalf. We have worked with thousands of clients worldwide for over 50 years. 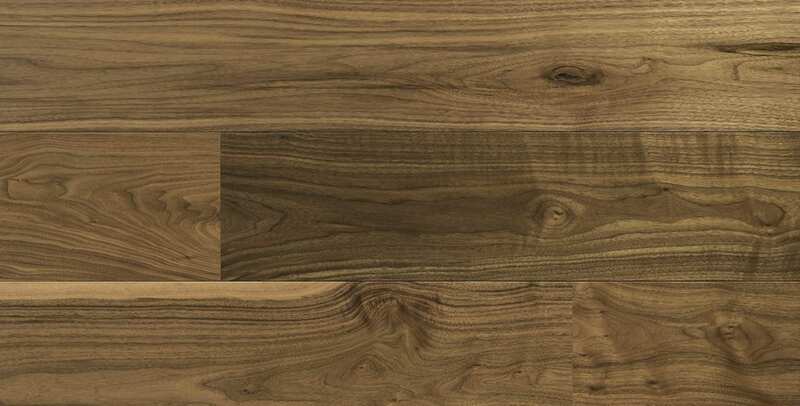 Our Wide Plank Specialists provide samples and pricing for product selection. They are well versed in all aspects of wide plank flooring design, with technical expertise to assist you during all stages of your project. Given the custom nature of your new floor, we recommend that you order a small, additional amount of flooring to keep as “attic stock” that can be used to repair or replace boards over the life of your floor, and help you avoid setup fees, additional shipping and longer lead times associated with ordering flooring below our minimum order amounts. If you are purchasing a floor that will be stained on site, we also recommend that you order an extra gallon of stain, since stain formulations and colors change on a regular basis, we cannot guarantee availability of your stain in the future. Why do I need a “cutting allowance”? Your installer will need to resize boards during the installation process. This can result in a small amount of waste that cannot be used. To ensure you do not run short during installation, plan ordering at least 10% more flooring than your actual square foot coverage. This is your cutting allowance. How do I maintain my Carlisle floors? Carlisle can provide you with accessories to help maintain the surface finish of your wood floor. Our Dustless Recoat Kit allows you to recoat your floor with no sanding required. You can also find specific maintenance instructions depending on the finish you are using on our Care & Maintenance page. How do I clean my floors? Carlisle floors can be cleaned with a mild solution of vinegar and water. Avoid excessive water sitting on the surface of the floor. We do not endorse the use of steam mops/vacuums. What is acclimation and how does it apply to my project? Your wood floors will absorb and release moisture depending on the environment in which they are installed. In some cases, it may be necessary to acclimate the wood prior to installation. This should be done within the structure, where the floors will be installed, and after the space has been conditioned to the in-service or expected “live in” conditions. Acclimation is not an exact science; your builder and/or installer can help you plan for this process. What makes Carlisle floors different from other wide plank floors in terms of stability and performance? Unlike other flooring on the market that you are might buy from a third party, such as an installer or a retailer, with Carlisle it's important to remember that you are buying from and dealing directly with the people who make your floor. We are in complete control of every aspect of the floor — from the trees we use to our Slowcraft® manufacturing and final prefinishing process — and our quality assurance is second to none. We create wood floors that will be more stable, easier to care for and maintain than other floors on the market. With proper acclimation and installation, your Carlisle floor will last for generations. What is the difference between your solid wood flooring and engineered wood flooring? 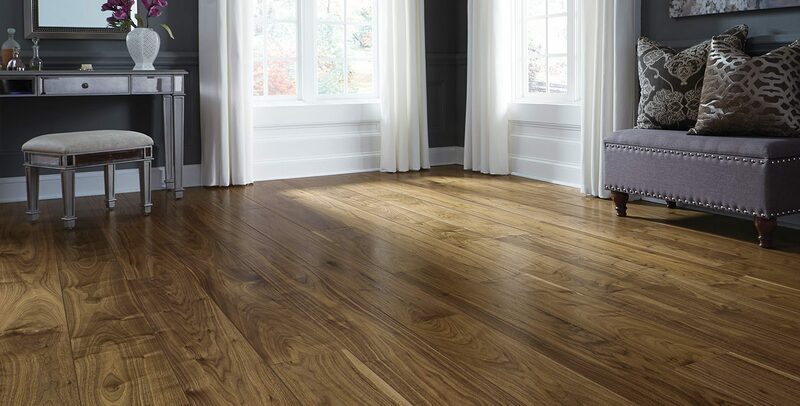 Carlisle wide plank hardwood floors are available in both ¾” solid and ¾” engineered construction, both with a 4 mm wear layer, and our refinishing warranty guarantees at least three sandings over the life of your floor. The same wood will be used to make your floor whether you choose solid or engineered, so they will be virtually indistinguishable from each other once installed. See our industry comparison chart to understand the difference between solid and engineered flooring, and easily compare engineered flooring options. Does your prefinished wood flooring come with a warranty? Some companies offer a 10-, 25- or even a 50-year warranty on their prefinished wood floors. Although this may seem like an advantage, the fine print reveals that the day-to-day wear, which is what you should be most concerned with, is not covered. The factory applied finish is often so hard that it is difficult, if not impossible, to easily maintain and touch up the floor when this wear occurs. At Carlisle, we can’t minimize or prevent the day-to-day wear, but we do provide prefinished wood floors, and site-applied finish systems, that are easy to maintain over the years. Need help finding the perfect Carlisle flooring for your style & space? Talk with us today about your project. We make it easy to browse, design, select and plan for your new wide plank floors with your own personal Carlisle Wide Plank Specialist. Custom Flooring, Made Just For You. Enter your e-mail address to sign up for our Newsletter. Contact Us or call 800-595-9663. Check out Carlisle Commercial Group. Looking for Luxury Vinyl Flooring? © 2019 Carlisle Wide Plank Floors. All Rights Reserved.